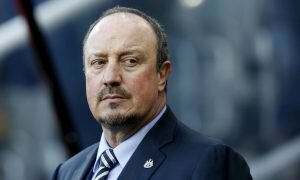 Newcastle United's interest in FA Cup hero warned off | The Transfer Tavern | Where football transfer rumours fly or die! Oxford United supporters here in the Transfer Tavern were ecstatic this weekend as their side produced the shock of the FA Cup third round by dumping Swansea City out following a 3-2 victory. The hero for the U’s was striker Kemar Roofe, who netted twice to dump a young Swansea side out, much to the dismay of interim boss Alan Curtis. Roofe was formerly on the books at Premier League West Bromwich Albion and now The Daily Mirror states Newcastle United are showing an interest in the striker. U’s boss Michael Appleton has today warned the Magpies off his player, stating that Roofe is happy playing for Oxford and that Newcastle should look elsewhere for a new recruit. The article was found in The Daily Mirror by two U’s fans who were mulling over the news with a pint of the landlord’s best bitter. 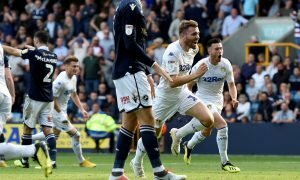 Appleton also said that the club were extremely confident of keeping one of their best players and said there was no need to discuss the opportunity of leaving with Roofe, as he is certain he wishes to stay. Our landlord believes Roofe should stay put until the summer and see if the interest remains then, rather than jumping ship so soon after making an impression. 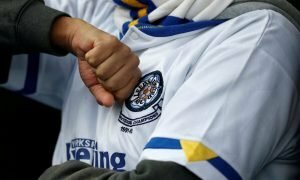 Newcastle fans… Would you want the club to sign Roofe anyway? Let us know in the comments below!